Maruti Suzuki cuts production by whopping 25%! What is ailing the Indian auto market? Impacted by a higher cost of ownership due to rising interest rates, insurance premiums and tight liquidity, sales of passenger cars has been declining since August 2018. Battling slowing demand for passenger cars, market leader Maruti Suzuki India has cut production by a whopping 25 per cent as compared to March last year. The steep cut in production by Maruti Suzuki, which produces one out of two cars sold in the country, is an ominous sign for the Indian automobile industry. The local subsidiary of Japanese auto major Suzuki Motor Corp has cut production to around 1.26 lakh units as compared to more than 1.72 lakh units a year ago. A clutch of factors put a brake on the growth of the auto sector, which was cruising along just a few months ago. Impacted by a higher cost of ownership due to rising interest rates, insurance premiums and tight liquidity, sales of passenger cars has been declining since August. Add to it, the demand uncertainty ahead of Lok Sabha elections and switch to stricter emission norms from April 1, 2020. The surge in fuel prices, slower economic growth and volatility in stock markets too have weighed on buyer sentiment. The production at Maruti Suzuki in February is estimated to be lowest since 2015, according to data provided by the company to Society of Indian Automobile Manufacturers (SIAM). The cut in production on the back of lower demand is in contrast to the double-digit growth the company had been clocking for the last four years. In Apr-Feb, the carmaker's domestic sales grew just 6.7 per cent. Automobile manufacturers in India count dispatch to dealerships as sales and do not provide data on actual retail sales. The bulk of the auto major's sales came in the June quarter of 2018-19, with sales falling in subsequent quarters. "Whatever was planned six months ago has not worked and sales have been falling month after month. 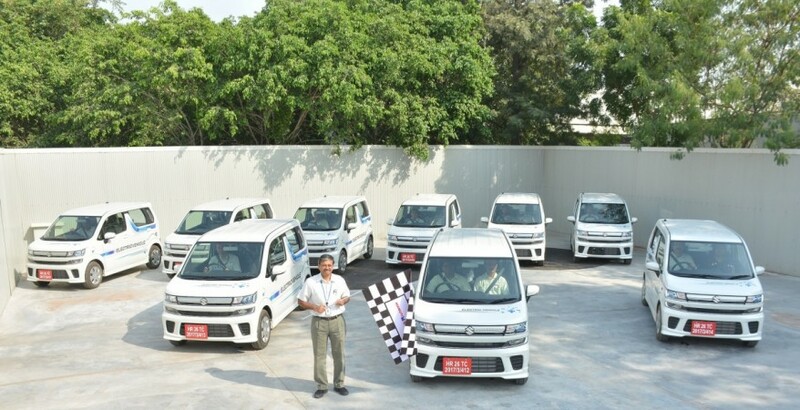 In a departure from the earlier plan of closing the year with two million units, the company may just do 1.87 million as the second half has been flat for the company," a Maruti Suzuki supplier told Business Standard. The company has witnessed lower production on a month-on-month basis as well, signalling towards a gradual decelerating trend. This means the lower production in March as compared to last year is not due to any one-off instances like worker unrest or maintenance shutdowns. Maruti Suzuki produced 1.48 lakh vehicles in February. "It is a sign of large system inventories that a production cut is necessitated. However, what is alarming is that the company is struggling with inventories for close to six months now," Mahantesh Sabarad, head, retail research, SBICAP Securities, told the newspaper. Maruti Suzuki, however, is not alone, most of the two-wheeler and car manufacturers in the country are rationalising production to match the slowdown in demand and accumulation of inventories. According to a leading auto component maker, vehicle manufacturers have pared production by around five per cent in response to subdued demand.